Turner Classic Movies recently launched a new tagline and campaign “Let’s Movie,” which invites a wide audience to explore the network as “the ultimate gathering place for film fans to share the magic of the movies.” This concept got me reminiscing about all the great movies I’ve discovered—and the warm online community I’ve been welcomed by—thanks to TCM. On September 19, TCM is encouraged everyone to take a Let’s Movie Holiday to share the joy of cinema with friends and family. 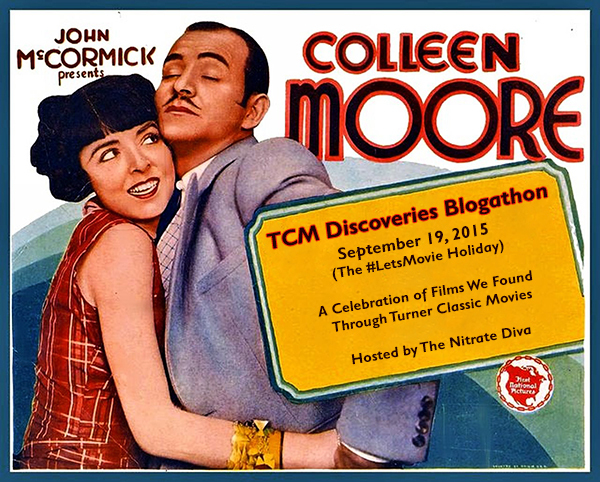 This blogathon celebrates the movies we’ve found (and the friends we’ve made) through TCM. Thank you all for participating and reading! Hi. I don’t have a blog…but I work at a paper with a website…does that count or is it lame? I would love to write about The Enchanted Cottage. That’s fine! Any piece that I can link to works. I’ve added you to the list. Thanks! I would like to write about LAURA. Terrific! I just added you. Thanks for joining! 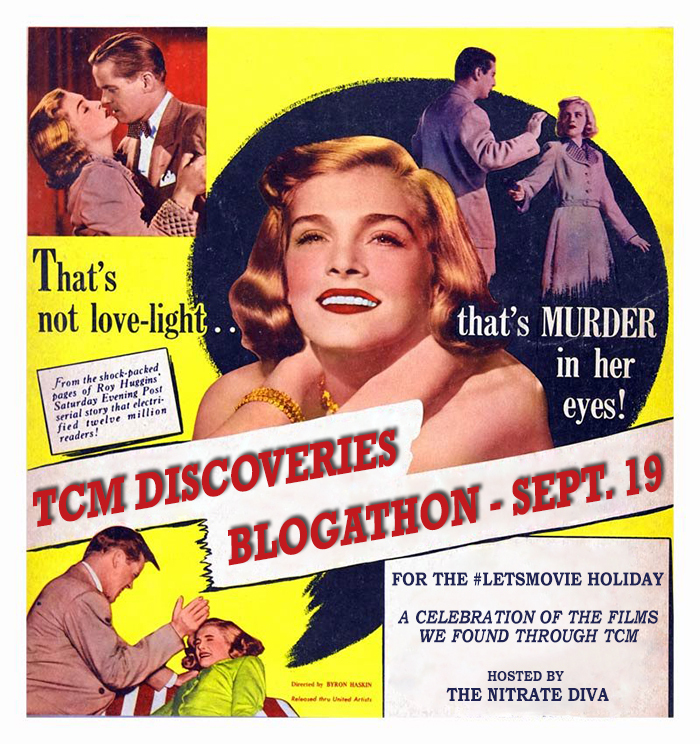 Great blogathon idea! I’d love to write about Vivacious Lady. Wonderful! You’ve got it. Thanks for signing up! Hi, Amanda! Welcome on board. I’ve added you for The Bad and the Beautiful. Hi! I’d like to write about The Graduate. Great! I’ve just added you. Thanks for joining in. Hey, I tweeted my choice but just in case it got lost in the shuffle I figured I’d post here requesting “A Wicked Woman” (1934). Thanks! Thank you for commenting here! Sorry, I was away from Twitter most of yesterday evening and I thought I’d missed something. Glad to have you on board! No worries. I figured I’d give it 24+ hours before double-checking. Thanks! I’m just starting a tumblr for movie reviews/classic film related things does that count? Yes, of course! Anything I can link to from here is fine. I’ve put you down by your name for now. What’s the link to your Tumblr? Okay, I’ve got it linked now. Thanks! Hello. I’d like to participate, please. My film will be Waterloo Bridge from 1931. Such fun, thank you! Added! Great choice. I was so happy when TCM aired that on primetime last month. Thanks for signing up! Splendid! That’s a personal favorite of mine. What’s your blog address? Thanks! Hey—love this idea! I’m torn between stuff I discovered on the channel or at the festival…So many possibilities! I have a short list of about 6. When’s the deadline to pick one? There’s no rush or deadline as far as I’m concerned. The only issue that I can see is that somebody might claim a title… I’ve added you to the roster with TBA as the title for the time being. Thanks! Yes, lovely choice. I’ve updated the roster with that as your pick. May I take WHY BE GOOD? It’s yours! A perfect match of 2 sassy Irish gals 😉 Glad to have you on board. You’re wonderful, Miss Nitrate Diva. Thanks for organizing all of this. Thank you so much! And the feeling is mutual, Ms. Social Media Lady! Yes, I just got you added. Thanks for signing up! Direct link to my article: http://bit.ly/innameonly Thanks so much! Cool idea! I owe my love of Esther Williams to TCM, so it’s only fitting that I choose Thrill of a Romance (1945). My blog is Love Letters to Old Hollywood. Fantastic! I’ve got you added. Thanks for signing up. Little late to the party, but could I do The Crowd (1928)? It is not too late to join, right? So, please, give me The Reluctant Dragon (1941). Nope, not too late at all! I’ve just added you. Glad to have you on board! Great, thanks. The Unknown is such a twisted movie, and I adore it! You’ve got it! I just added you. Thank you for joining! Sorry for taking so long to reply. If you still want to do this, I can link to it. And, yes, “On Approval” is a whole lot of awesome. No worries. I feel like it’s been a busy few days for a lot of us 🙂 I’m at a wedding now so I think I’ll have to sit this one out, but I’m looking forward to reading everyone’s posts! Thanks for hosting this! I had a lot of fun writing for it! Oh, thank you so much! I’ve got the post link added now. Looking forward to it! I’ll be posting (second sight cinema; ghost & mrs muir) but not until this evening, perhaps around 9… just wanted to confirm that you would still be updating. Yes, that’s fine! I’m actually late to my own blogathon on my own post (story of my life). That’s probably around when I’ll be putting out the masterpost with links to specific entries. No problem! I’ve added the link and I’m looking forward to reading your take on it. Great Stuff! I just posted about The Freshman last night! Wish I was able to participate. 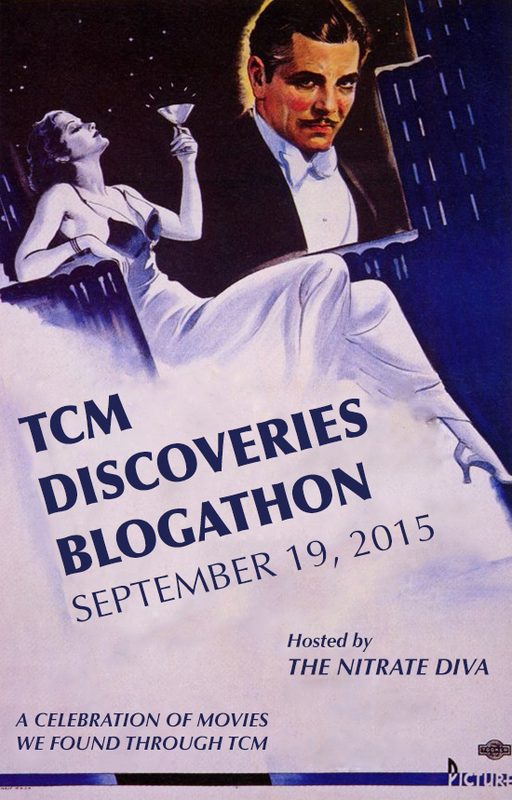 There are definitely some great contributions to the TCM Discoveries Blogathon! Oh, splendid! Thank you for letting me know. I’ve got the post link added now and I look forward to reading!